Taking care of a loved one who has a high level of needs can take a serious toll on your physical, emotional and mental health. Among the highest level of needs requiring nursing tasks, cancer, diabetes, lung disease and surgery wounds rank at the top, according to a report on Caregiving in the US (2015). All too often, caregivers must sacrifice their social lives and personal needs to care for a chronically ill spouse, sibling or parent. Family 24 hour caregivers lose a sense of identity and over time, they withdraw from social circles and experience depression. Many of them do not want to place loved ones in an assisted facility out of feelings of guilt, so they take on the burden entirely upon themselves. If you want to take a vacation, you can rest assured that your elderly loved ones are in good hands! A-1 Home Care is one of the few licensed, bonded and insured agencies in California, meaning your loved ones are protected from scam artists, predators, theft and fraud. For over two decades, we have provided excellent senior care services and home care services for adults with disabilities. We thoroughly investigate all professional references and conduct extensive criminal background checks for your safety and peace of mind. 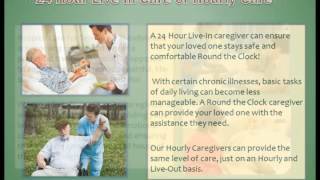 Looking for high quality in-home care? Call A-1 Home Care (310) 657-8780 or visit www.lainhomecareservice.com for services in Hollywood, Glendale, Santa Monica, Pasadena, Malibu, Beverly Hills and surrounding cities in LA County. Categories: at home care, Beverly Hills CA, care at home, Caregiver Agency, Caregivers, Glendale CA, Hollywood CA, Home Care, Los Angeles CA, Los Angeles County | Tags: a-1 home care, at home care, caregiver, elderly, help at home, home care, homecare, la county elder care, la county in home care, la county senior care, licensed bonded insured home care, los angeles, los angeles in home care, maintain personal life | Permalink. Have a live-in caregiver around to check the house for possible hazards such as overturned rugs, cords or dim lighting. If you live in a two-story home and there’s a bedroom downstairs, have your elderly loved one stay in the downstairs bedroom. A 24-hour companion care aide should accompany your loved one when bathing or showering, especially if your loved one has difficulty moving and getting up. 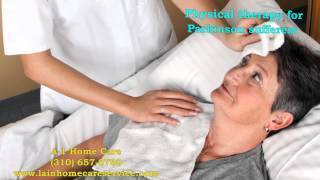 The caregiver can offer partial assistance by standing by with minimal assistance or give full assistance if the elderly person cannot move at all. Install extra guardrails along the hallway and stairways. Put non-slip shower mats in the bathtub so your elderly loved one won’t slip and fall in the shower. 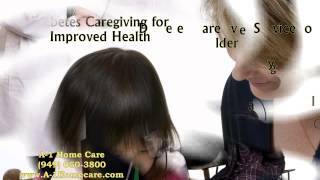 A-1 Home Care is a licensed, bonded and insured home care agency based in Southern California. Since its inception in 1991, we have delivered exceptional senior care and in-home care services to families in LA County. As one of the few state-licensed agencies in California, A-1 Home Care protects your loved ones from predators, scam artists, theft and fraud. Each caregiver who walks through our doors is extensively screened for their criminal background and DMV record clearance. All professional references are verified. Talk to one of our care managers today about an elder care plan that fits your budget! 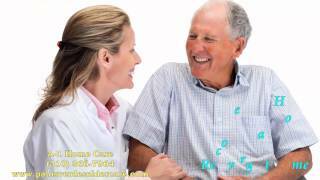 For affordable senior care, call A-1 Home Care (310) 657-8780 or visit www.lainhomecareservice.com for services in Hollywood, Glendale, Santa Monica, Pasadena, Malibu, Beverly Hills and surrounding cities in LA County. Categories: at home care, Beverly Hills CA, care at home, Caregiver Agency, Caregivers, Glendale CA, Hollywood CA, Home Care, Los Angeles CA, Los Angeles County | Tags: 24 hour caregiver, a-1 home care, caregiver, elderly, help at home, home care, home hazards for seniors, homecare, la county senior care, live in care, live in caregiver, los angeles, los angeles in home care, prevent falls at home | Permalink. In the gut-wrenching, heart-moving documentary Gleason, which opened in theatres last month, Steve Gleason made a film about his struggle with amyotrophic lateral sclerosis (ALS), also known as Lou Gehrig’s disease. The former NFL New Orleans football star wanted to produce something for his unborn child so that his son can remember his father’s former glory before the progressive disease would take over. ALS was coined “Lou Gehrig’s disease,” after a famed baseball player Henry Louis “Lou” Gehrig, who played for the New York Yankees from 1923 to 1939. ALS is a motor neuron disease that destroys an individual’s ability to speak, swallow, and eventually, breathe. ALS is a slow progressive and fatal disease that is characterized by muscle twitching, muscular stiffness, and muscles shrinking in size. The cause of Lou Gehrig’s remains unknown, but there is a lot of support for families who have a loved one with Lou Gehrig’s, such as A-1 Home Care in LA County. The average survival rate for patients with ALS is 3 years after the initial diagnosis; some may live as long as 10 years after the onset. You and your loved ones can benefit from 24 hour ALS Care, such as assistance with feeding, meal preparation, light housekeeping, bathing, grooming, and transportation to medical appointments in your area or beyond. A-1 Home Care is a licensed, bonded and insured home care agency dedicated to providing safe and secure in-home care for seniors and their entire families in LA County. Being bonded and insured means that our caregivers have to go through a criminal background screening before they’re allowed to care for the elderly. The advantage of hiring a caregiver through a reputable agency such as A-1 Home Care is that the Department of Justice (DOJ) will only release criminal history to a qualifying organization such as state-licensed agencies, schools, law enforcement agencies and non-profit organizations. The DOJ will not release criminal records to private families should they decide to hire a caregiver on their own. Protect your elderly loved ones and yourself by talking to an experienced care manager about your loved one’s needs at home. Customer satisfaction is 100% guaranteed! 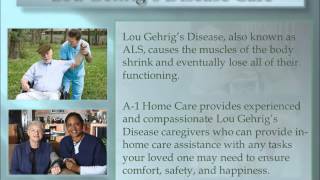 For affordable ALS care, call A-1 Home Care (310) 657-8780 or visit www.lainhomecareservice.com for services in Hollywood, Glendale, Santa Monica, Pasadena, Malibu, Beverly Hills and surrounding cities in LA County. Categories: at home care, Beverly Hills CA, care at home, Caregiver Agency, Caregivers, Glendale CA, Hollywood CA, Home Care, Los Angeles CA, Los Angeles County | Tags: 24 hour ALS care, 24 hour caregiver, 24 hour senior care, a-1 home care, als care, caregiver, elderly, help at home, home care, live in caregiver, los angeles, los angeles in home care, lou gehrig's care, lou gehrig's caregiver | Permalink. Alzheimer’s is a disease, and dementia is an umbrella term for an array of symptoms. Oftentimes Alzheimer’s and dementia are used interchangeably but they are not the same. Alzheimer’s is an incurable disease that includes symptoms of dementia such as cognitive impairment, memory loss, and speech impairment. In addition to symptoms of dementia, Alzheimer’s hallmark is the presence of aggressive behavior, personality changes, and cognitive confusion, among many other symptoms. Dementia symptoms are also present in other diseases, such as Huntington’s Disease, Parkinson’s Disease and Creutzfeldt-Jakob disease. Regardless of what type of dementia your elderly loved one may have, there is help. 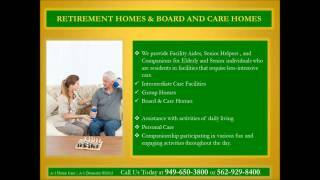 A-1 Home Care offers affordable dementia care for seniors in all parts of Los Angeles County. The need for 24-hour in-home care is growing at an exponential rate, especially in LA County. Many family caregivers carry the burden alone. Women are cutting back on work hours, and if they are single moms or divorced mothers with full-time jobs, adding the responsibility of elder care to their plate is simply overwhelming. The care managers at A-1 Home Care will help you find a solution to reduce your caregiver stress so you can take care of both your elderly loved one and yourself. Live-in care includes assistance with light housekeeping, cooking, cleaning, bathing, personal care and more. A-1 Home Care has been taking care of seniors and their families for over two decades! When it comes to selecting someone to take care of your elderly loved ones, we take talent recruitment very seriously. A-1 Home Care is a licensed, bonded and insured agency that thoroughly prescreens every single caregiver, certified nurse aide, home health aide and licensed vocational nurse for your safety and security. You have our round-the-clock support from a 24-hour hotline to live-in caregiver services for 365 days a year. You can finance high quality senior care at the most competitive prices in LA County! A-1 Home Care also accepts Veteran Benefits and long-term care insurance. For affordable and reliable caregiving services, call A-1 Home Care today (310) 657-8780 or visit www.lainhomecareservice.com for more information about services in Beverly Hills, Malibu, Santa Monica, Pasadena, Manhattan Beach, Culver City, Hollywood and other surrounding cities. 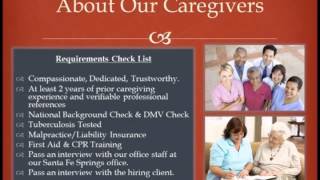 Categories: at home care, Beverly Hills CA, care at home, Caregiver Agency, Caregivers, Glendale CA, Hollywood CA, Home Care, Los Angeles CA, Los Angeles County | Tags: 24 hour care, a-1 home care, affordable senior care, alzheimer's care, dementia care, elder care, elderly, help at home, home care, homecare, la county home care, live in care, live in dementia care, live-out care, los angeles in home care | Permalink. Do you have a written long term care plan for your elderly loved ones? Most people don’t think about elder care planning until it’s too late. Perhaps your parents are in good health now and elder care won’t cross your mind for another 15 or 20 years. In most cases, people don’t like going to the doctor’s unless they absolutely have to, and if your parents are in that category, they may not be aware of illnesses that are creeping up on them right now. Do your parents watch what they eat? Do they exercise regularly or do they work too much? Do they have high stress jobs that could potentially put them at risk for a heart attack or stroke? If your parents face constant pressure each day at their jobs and they are only a few years away from retirement, do you have a written long term care (LTC) plan in place in case of an event? 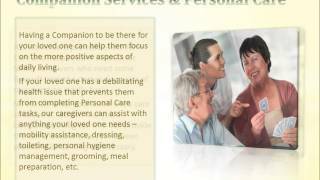 A-1 Home Care’s experienced and professional advisors have been helping families for over two decades. They’d be a great resource if you’re not sure where to start. 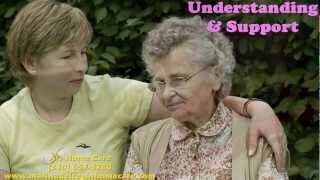 What is a long term care plan? A written long term care plan is part of life resource planning that is often overlooked by families. It involves meetings with family members, the elderly loved one’s health care team, attorneys, caregivers and other involved individuals in the planning of a senior’s future, such as estate planning, long term care, 24 hour care, hospice care, and more. Long term care plans aren’t just for seniors; if you have young children or adult sons/daughters with disabilities, this type of planning includes care for them in the event that something happens to you. A-1 Home Care’s seasoned care managers will help you examine all the issues that need to be considered when producing a care plan for your elderly loved ones. A-1 Home Care has been helping families all over LA County since 1991. Our seasoned and amiable care managers will help you plan for contingencies in case your elderly loved one might need Alzheimer’s Care, Arthritis Care, Heart Attack Care, Post-Stroke Care or other types of in-home care, based on your loved one’s medical history. Our managers, certified home health aides, certified nurse assistants and licensed vocational nurses work closely with local hospitals to provide your loved ones the best elder care possible at the most competitive rates in Southern California. Our 24 hour care and live-out care services are very flexible; we adjust to the changing nature of your loved one’s health needs. Talk to a care manager today about some possible elder care options for you or your loved one. Call A-1 Home Care (310) 657-8780 or visit www.lainhomecareservice.com for services in Hollywood, Glendale, Santa Monica, Pasadena, Malibu, Beverly Hills and surrounding cities in LA County. Categories: at home care, Beverly Hills CA, care at home, Caregiver Agency, Caregivers, Glendale CA, Hollywood CA, Home Care, Los Angeles CA, Los Angeles County | Tags: caregiver, elder care, elder care planning, home care, la county home care, la in-home care, live in care, live-out care, long term care, senior care | Permalink. If your loved one is or will be spending time in the hospital this holiday season, don’t you think that he/she would benefit most from round-the-clock hospital sitters for continual companionship? At A-1 Home Care in Los Angeles, our friendly caregivers provide after surgery care services that keep seniors upbeat and well-mannered during their hospital time. Each caregiver service is affordable because our caregiving professionals understand the importance of providing top-quality care at lower-than-the-rest prices. A-1 Home Care proudly serves elders throughout the Los Angeles and Orange County areas who come from all walks of life, including Jewish, Asian, Middle Eastern, and European, bringing helping hands and a golden heart into the homes of everybody they encounter. The expert caregiver solutions at A-1 Home Care additionally include in-home services such as hospice care for terminally-ill family members, respite care for family caregivers who need some time away, and even postpartum care for new mothers. It’s this dedication to providing only the best– and leaving behind the rest!– caregiver solutions in all of Southern California that has allowed A-1 Home Care to retain the honorable distinction as the caregiver agency trusted most since its inception in 1991. For more information about the exceptional after surgery care options available in LA and surrounding areas, call a friendly caregiver today at (310) 657-8780 or (562) 929-8400. A-1 Home Care is proud to serve nearby communities in Beverly Hills, Hollywood, Century City, Studio City, and Glendale. Categories: after surgery care, Uncategorized | Tags: after surgery care, caregiver, caregiving, home care, hospice care, hospital sitter, respite care | Permalink. Having to see a loved one suffer through the final stages of his or her life can be difficult for anybody, especially adult children and other close relatives who have known that person for a long time. Because the end days can be so tough for ailing seniors and their loved ones, it’s important to provide such patients with care from the comfort of their own home if they’re terminally ill and need contentment rather than treatment at this time. With its constant in-home caregiving services that are provided 24/7 for suffering seniors, A-1 Home Care prides itself on improving patients’ emotional, social, and physiological well-being, as well as both their comfort level and their confidence going forward. They also provide care techniques that decrease the chances of bed and pressure sores from forming on patients who are bed-ridden during these difficult times, helping A-1 Home Care to serve as the number one option for pain relief in seniors throughout the Los Angeles and Orange County areas. 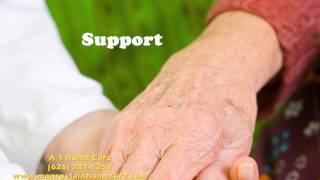 A-1 Home Care’s hospice care professionals also provide a stress-release valve for worried family members who have been stretching themselves thin trying to lengthen their loved one’s final days. You can discover more about the hospice care services provided at A-1 Home Care by calling (310) 657-8780 or by finding one of its many offices located in cities near you that include Beverly Hills, Anaheim Hills, Glendale, Alta Dena, and Long Beach by visiting www.a-1homecare.com today!